The Subaru Crosstrek is a compact crossover that's designed to give you the best of both worlds, combining the precise handling of a car with the versatility of a Subaru SUV. There's so much to love about the 2016 Crosstrek--but you don't have to take our word for it! Keep on reading to discover more, then head in to Subaru Superstore for a test drive! The 2016 Crosstrek is available in three trim levels. Even the entry-level 2.0i trim comes with impressive features like 17" aluminum-alloy wheels, multi-reflector halogen headlights, raised roof rails, and more. Upgrading to the 2.0i Premium brings features like heated side mirrors, optional power tilt/sliding moonroof, heated front seats, leather-wrapped steering wheel, and more. At the top of the line, the 2.0i Limited comes with not only the features of the 2.0i Premium, but also auto on/off headlights, leather-trimmed upholstery, and other high-quality features. The 2016 Crosstrek is filled with impressive technological features, including the standard Subaru STARLINK multimedia system that has features like Bluetooth audio streaming and hands-free phone connectivity. The 2.0i Limited trim even has a six-speaker audio system with navigation. The 2016 Crosstrek is also one of the safest vehicles on the road today: it received the 2016 IIHS Top Safety Pick+ designation with optional front crash prevention! Optional features like EyeSight (which includes adaptive cruise control, pre-collision braking, and lane departure and sway warning functions), Blind Spot Detection/Rear Cross-Traffic Alert, and STARLINK Safety and Security connected services make the Crosstrek an incredible choice for safety. At the heart of the 2016 Crosstrek is a 2.0-liter DOHC aluminum-alloy 16-valve horizontally opposed Subaru Boxer engine with Dual Active Valve Control System. This engine generates an impressive 148 horsepower and 145 pound-feet of torque while giving the Crosstrek up to 34 miles per gallon on the highway when equipped with Lineartronic CVT. What's more, the standard symmetrical all-wheel drive makes off-road adventures easy. Come to Subaru Superstore to learn even more and take the Crosstrek for a test drive! Subaru Superstore is Arizona's #1 volume dealer! We sell more, for less guaranteed! When you're in need of a new vehicle, come to our lot, which proudly serves Mesa and Scottsdale with an extensive selection of new Subaru vehicles at incredibly low prices! You won't want to miss our frequently updated purchase, lease, and finance specials on our new Subaru vehicles--and to save even more, check out our high-quality pre-owned vehicles. We're also proud to be home of a service center and a parts store serving Gilbert. 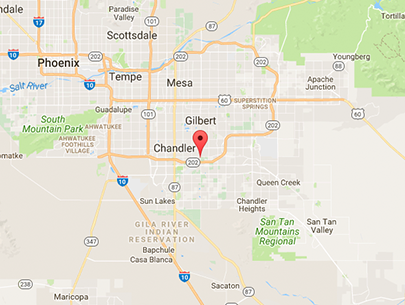 When you're ready for a test drive, you can call us at (888) 859-6735 or stop by our location at 1050 S. Gilbert Road, Chandler, AZ 85286--it's well worth the trip from Tempe! We hope to see you soon at Subaru Superstore.